Über Dorks: Let's get dorky! 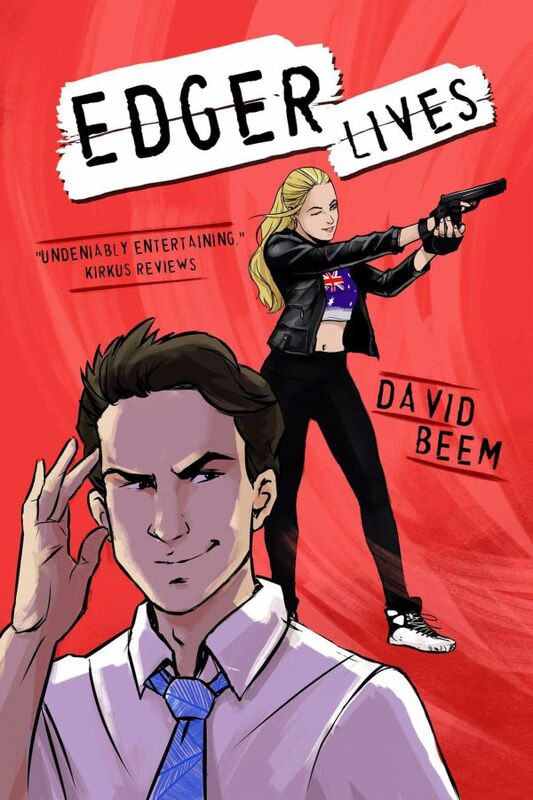 Feast your eyes on this, my brothers and sisters, the dorktastic, nerdalicious, geekgasmiest cover of your new favorite comedy fiction title, Edger Lives—available for pre-order today! Edger Lives, a period drama set in 1945 against the lavish Scottish Highlands, rich in exquisite historical detail, tells the story of a boy, a girl, and a space gorilla-unicorn with a heart of gold. Edger Lives, also guest starring Vladimir Putin, Gary Busey, and Space Chicken David Hasselhoff, may be the most riveting novel of 2019. People, Edger Lives is no mere sequel. It is a SCIENTIFIC FACT to say this book has it all*. Edger Lives features words put in order to form things called sentences. What are you waiting for? Pre-order Edger Lives (available 4/1/19) today! * “All,” defined on the copyright page as: “any fiction including mention of the crocoduck, unionized skydiving swag monkeys, and obtuse Chinese assembly instructions.” So stick that in your interdimensional killer clown hole, Stephen King!